"Welcome to my web page! I'm Lala or Blasiancameleon ^_^ I hope you all enjoy my site and I'll keep you all posted on what my next move is, whether it's here or on Twitter. 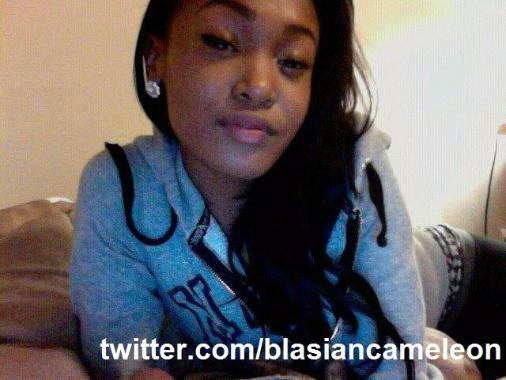 You can follow me on Twitter @blasiancameleon! Also watch my webcam show! And love you all <3 Muah!" Where to find all my Explicit Videos! If you want to see all my X-Rated videos and dance videos go to dailymotion.com/blasiancameleon and read the comments to the left of my profile! I wrote instructions for all of you who don't have an account. Scroll to the bottom of the page and under the column "Help" and you will see the option "Familiy Filter ON". Click there and it will take you to a new page. There you will be able to switch your filter to "OFF" and all my videos will be available for you to watch! :) Family Filter must be on OFF.